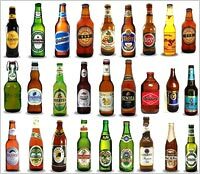 After sinking to its lowest U.S. consumer satisfaction levels in two years during the first half of 2012, the imported beer sector has largely rebounded, according to YouGov BrandIndex. Imported beer has followed the same consumer perception pattern this year and last. Perception starts from its highest point in January, slides down for the first six months, and then climbs back up in the second half. But this year, the sector’s perception level sank lower than last, and still has some ground to make up to fully recover. One reason that importers improved may have been summer marketing campaigns, said YouGov spokesperson Drew Kerr. At the beginning of January 2012, the imported beer satisfaction score was 34, the highest it had been since the same month in 2011. The score declined and hit its bottom for the year on June 7 at 21. The year before, the sector’s satisfaction score skidded from 36 in January to 25 in early June. The current satisfaction score is 31. The domestic beer satisfaction score started at 15 on Jan. 2, the highest it had been since August 2008. It cooled down to the 11-12 score range for the next few months, and then swung up to an even higher 16 score on May 17. It was at this point that the satisfaction score gap between the two sectors had contracted to only 7 points, with the imported score at 21 and domestic at 14. Usually there is a 14- to-20-point gap on the average between the two sectors. YouGov BrandIndex interviews 5,000 people each weekday from a representative U.S. population sample, more than 1.2 million interviews per year. Respondents are drawn from an online panel of more than 1.5MM individuals. Margin of error is +/- 2%.